If you are looking for premium quality Ferro Alloy Powder, then we are the perfect destination. 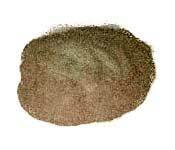 We present Metal Ferro Alloy Powder that is used in number of industries for varied industrial applications. Made using latest production procedures, Fine Ferro Alloy Powder offered by us is highly demanded by our customers. We provide availability of Ferro alloy powder in different specifications and grades suiting to the requirements of customers. In addition to this, we ensure availability of powder in unlike packing and quantities. We are counted as the most outstanding Fine Ferro Alloy Powder Manufacturer and amidst the famous Exporters from India.